Dr. Jaqueline is an experimental quantum physicist, or how she likes to put it, she is studying the strangeness of QP. For the 2017 L’Oreal-UNESCO for Women in Science Fellowship, she wants to unlock a new mechanism, which aims to create a system that uses light shapes as letters in a quantum alphabet. In 2015, Dr. Romero and her colleagues at the University of Glasgow, managed to slow down light particles in a near-vacuum. Romero was a Merit Scholar of the Department of Science and Technology-Science Education Institute (DOST-SEI) of the Philippine Council for Advanced Science and Technology Research and Development (PCASTRD). 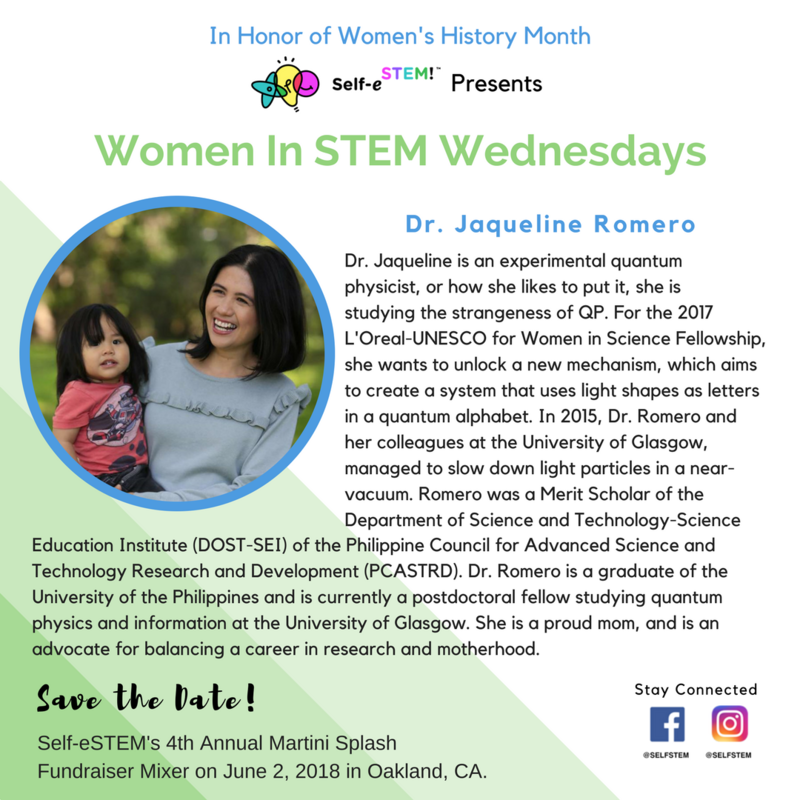 Dr. Romero is a graduate of the University of the Philippines and is currently a postdoctoral fellow studying quantum physics and information at the University of Glasgow. She is a proud mom, and is an advocate for balancing a career in research and motherhood.